Less than 5 available ! It's here!!! Introducing the new MPIX-POE16. 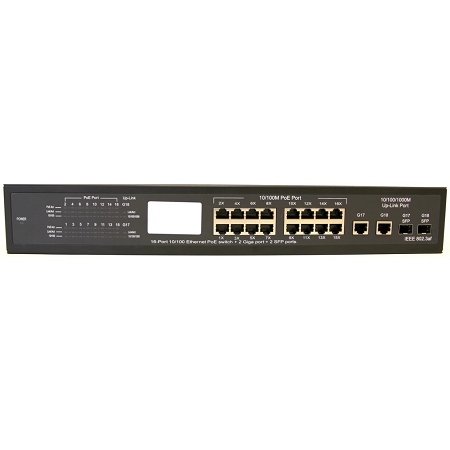 This item consists of sixteen 10/100 ports with PoE (Power over Ethernet) for your cameras along with two additional Gigabit RJ45 ports for the NVR and network connections. 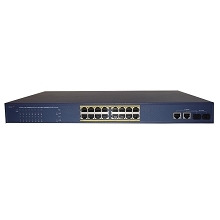 This un-managed switch requires no complex configuration letting you attach your devices with ease. PoE (Power over Ethernet) integrates 48v power and data through individual Ethernet cable feeds, eliminating the need to have power available for all your devices. This unit will support data and power up to 328 feet via Cat5/Cat5e/Cat6 applications. Powers PoE compliant devices such as VOIP phones, Wireless Access Points, Security Cameras, etc. 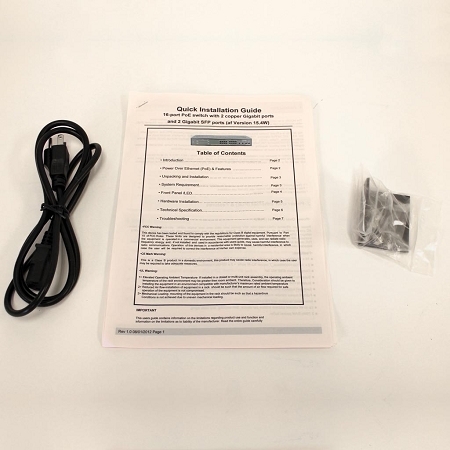 Product is labeled with conveniently marked activity lights for simple identifying and comes with a 1 year warranty. 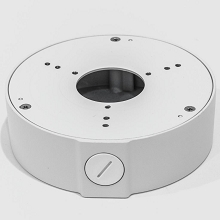 Weighing in at only 13.2 pounds, this device will safely fit for all your shelf, media center and desktop applications. 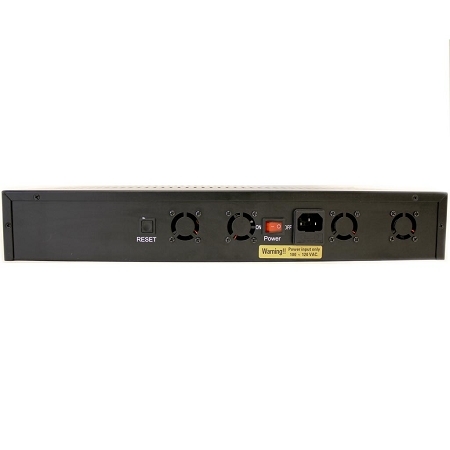 This device is also rack mountable (rack mounting ear brackets included). Network Cables: 50/62.5um LC signal model or Multi model fiber cable. 10Base-T: 2-pair UTP Cat 3, 4, 5 up to 100 meters. 100Base-T : 2-pair UTP Cat 5, 5e up to 100 meters. 1000Base-T: 4-pair UTP Cat5e 6, up to 1 OOmeters. 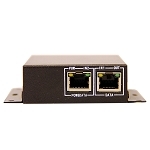 Ports: 2 x 10/100/1 OOOMbps RJ-45 ports. 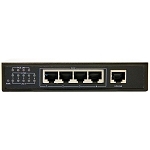 16 x 10/100Mbps auto MDIX RJ-45 ports with 16 PoE enabled ports. Safety: 110VAC to 240VAC power supply UL listed.